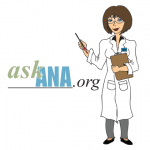 Handgards marketed disposable gloves through hair care product manufacturers, department stores and mail order houses, as well as veterinary, laboratory, physicians and safety supply houses. At about the same time Handgards introduced disposable polyethylene gloves to the school foodservice and food processing trades. The entire foodservice industry soon adopted the use of disposable gloves for the purpose of preventing contamination of food from the hands of workers preparing and serving foods. The focus of its business significantly changed when Handgards saw the opportunity to diversify and expand its manufacturing processes and to develop additional products for school foodservice applications. Soon a wide variety of High Density Polyethylene (HDPE) fast-loading sandwich bags for both hot and cold applications, food storage and freezer bags, and aprons were added to the product mix. 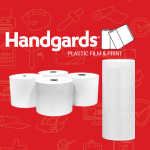 Since arriving in El Paso in 1973, Handgards has grown tremendously. The 250,000 square foot facility houses dozens of state-of-the-art machines that handle the entire process of converting millions of pounds of resin each year into plastic products. Thousands of products sold by this multi-million dollar company are produced daily at their manufacturing facility located at 901 Hawkins Blvd. Handgards has always been a well-known supplier to schools, prisons, colleges, hospitals and institutional feeders. Due to recent successes with several commercial accounts, regional and National chains, the Handgards name is becoming even more widely known. Today, Handgards remains a leader in the institutional foodservice industry by providing more than 600 different products through its sales force all over the United States. As Handgards continues to expand its markets the company remains focused on value added and cost saving products. As a result, the company has become a significant importer of Latex and Poly Vinyl gloves, aprons and other polyethylene products. This move has allowed the company to focus on its core manufacturing strengths in El Paso and to continue to develop new and innovative products. The owners, management and employees of the company are committed to maintaining a leadership position in the industry and to be a viable contributor to the El Paso community.